This entry was posted in Our observatory, Sun online on June 26, 2013 by mari. • Professional equipment, high-speed fiber optic internet and uninterrupted power supply for 24-hour functioning of the project. • Team SPONLI – is a team of passionate amateur astronomers, astronomy-lovers. 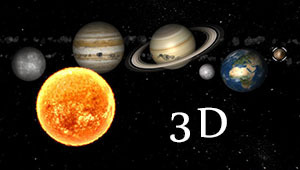 • Unique 3D-model of the solar system. • Animated model maps of the sky. 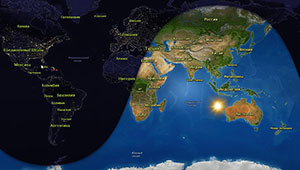 • Animated card model of changing day and night. • The bigest library of knowledge, astrophotography and video for the study of astronomy. • The possibility of photographing the Moon and the Sun online and tracking changes on their surfaces. • The ability to register for events, obtaining high-resolution photos + original photos for your research and editing. • In-depth study of the solar system and the changes in it. The study and discovery of comets and asteroids. • Ability to search for new stars, planets, supernovae, comets, asteroids and other objects. • Ability to follow up some developments in space. To sum it up, expensive hobby becomes available to everyone! This entry was posted in About the project on June 26, 2013 by mari. • Construction of six observatories around the world, located in the most favorable locations, based on the criterion of a great view of the sky. • To order 210 professional telescopes – 35 telescopes per one observatory (30 night and 5 solar scopes). • Development of software ( cross-platform) and 3D sky map with an opportunity to control the telescopes. • The installation of radio telescopes to search for extrasolar planets. • Creation of the largest archive astrophoto. • Co-operation with schools and universities, and other educational institutions. • The ability to publish photos taken by our users using our telescopes, pictures will be located in the main gallery of objects for all users. • Ability to sell original of astrophotography (each user will have the ability to upload their source pictures). 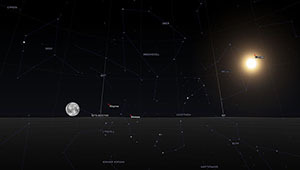 • Ability to manage professional telescopes (about 60 telescopes online 24 hours from 4 to 27 inches). • Ability to communicate with professional astronomers (SPONLI team will create the most interesting events for all inhabitants of the planet). • Ability to obtain complete information on alignment of telescopes, camera settings and astro-equipment directly from the luminaries of astronomy. • Watching of life Observatory (online cameras will be available in the observatory, information from weather station about current weather conditions). • The possibility of the development of the project by adding the events, objects, and their research. • Membership of the largest network of amateur astronomers and professionals. • Ability of realization your research, as well as access to view the research of others. The idea of our project SPONLI was born not long time ago in 2011 and began to develop quickly. Ivan Olyansky became the main generator of the idea, later took a place of the Project Manager and the Director General of the company. It was him who came up with the concept, found like-minded people who were ready to invest money in developing of the project, assembled a team of employees, which was able to realize the dream – to make the star closer to people. During the project we have encountered a plenty of difficulties, but every time we overcame them – some of them we solved easily, another needed more efforts and more time, but ultimately, everything went in a positive way. As a pioneer in this field, we have not had the opportunity to use an experience or learn to turn to the best examples of similar projects. And it is, undoubtedly, a great success, as we have independently examined everything about an equipment, cameras, telescopes, we have deepened the knowledge that eventually allowed us to say safely – we are professionals in this field. We traveled the world in a searching of places for observatories, we lived in conditions that are not quite suitable for life, we have studied the laws of different countries and all this is for “capture” clear sky. Observatory facilities – a particular phase in the life of the project. We learnt a huge amount of literature on professional. We are engaged in their configuration, alignment. And it was a special experience to our company. At this point, the project SPONLI is a close-knit team of professionals, who lives for the project, who is ready to raise, develop and improve it. We are open to new ideas and we are always happy to find devotee as we are!